No apologies this time because I never seem to learn. So, let me just jump to what I am about to share – a simple recipe for an incredibly satisfying soup that I really, REALLY hope you all will try to make at least once – especially as the leaves start to change colors and the air begins to get crisp! I was browsing through the web looking for inspirations to use quinoa and potato in a simple, yet satisfying recipe. Yes, it was a weeknight yesterday, but since I was able to get home a little earlier than usual, I had a little extra time to put into prepping dinner. This is not an original recipe of mine. It just altered this a bit, but this is largely a Taste of Home recipe. 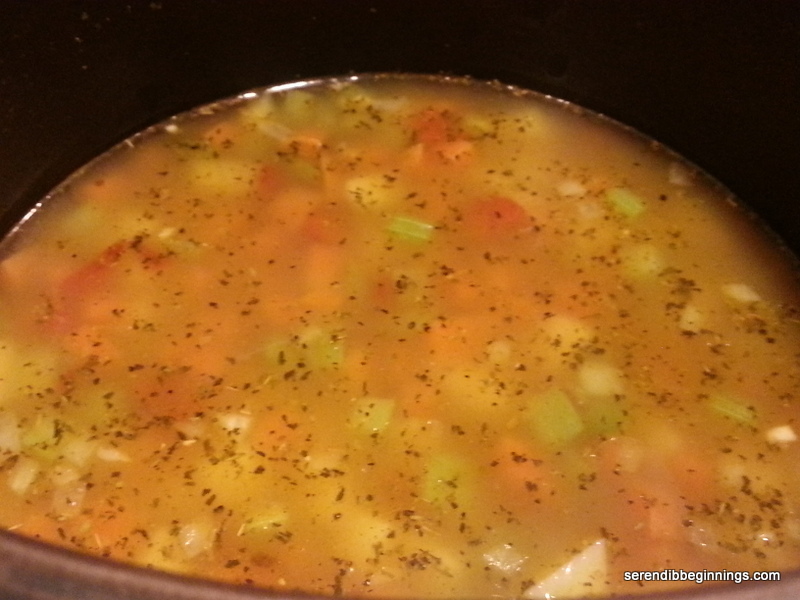 All you need is a combination of your favorite soup vegetables and quinoa (any kind will be fine, but the tri-color blend I used was phenomenal) and voila, you can whip up this soup without much fuzz. Trust me, if you make it once, you are going to want to make it again (how about topped with a bit of crumbled bacon bits next time!). Here is an amusing aside (or something to make you go what a fool!)! 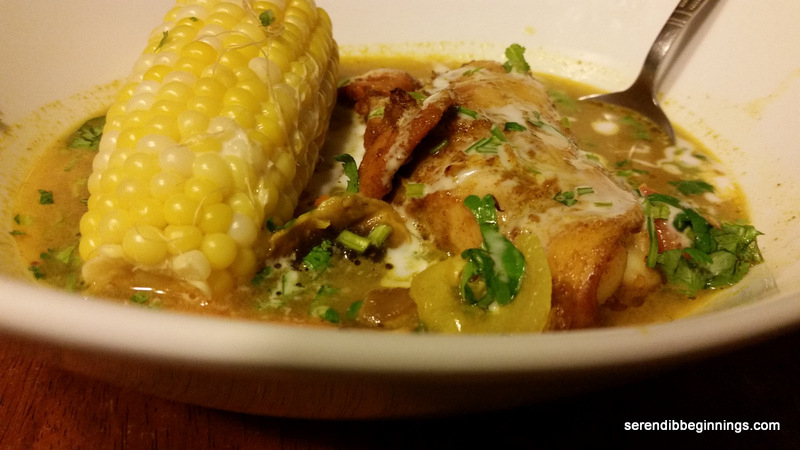 Addition of jalapeno was a great idea to add a much appreciated kick to the soup. Of course, this particular jalapeno happened to be a super spicy one. I am the type of person who tinkers around in the garden with bare hands, minces up spicy peppers like they are just little fruits and pulls hot pans out of the oven with just a kitchen towel or paper towel! Yes, I never learn and I have scars to prove Last night was a repeat of the familiar story. Just as I rinsed my hands (yes, no scrubbing under nail) after mincing the jalapeno, I must have promptly rubbed my left eye lid. Initially, I just felt a weird sensation and I wasn’t quite sure what that was. Then, I felt it – the much familiar burn of hot pepper smear! Ouch. Then I remembered the coconut oil in the pantry. Ladies (and gentlemen), if you ever experience a similar thing, just dab a bit of coconut oil (REMEMBER TO WASH YOUR HANDS REALLY WELL BEFORE APPLYING) on the affected area. Grit your teeth and go about your work for 3 ymin or so. It’s like a miracle, how the simple oil just eases away the burn! 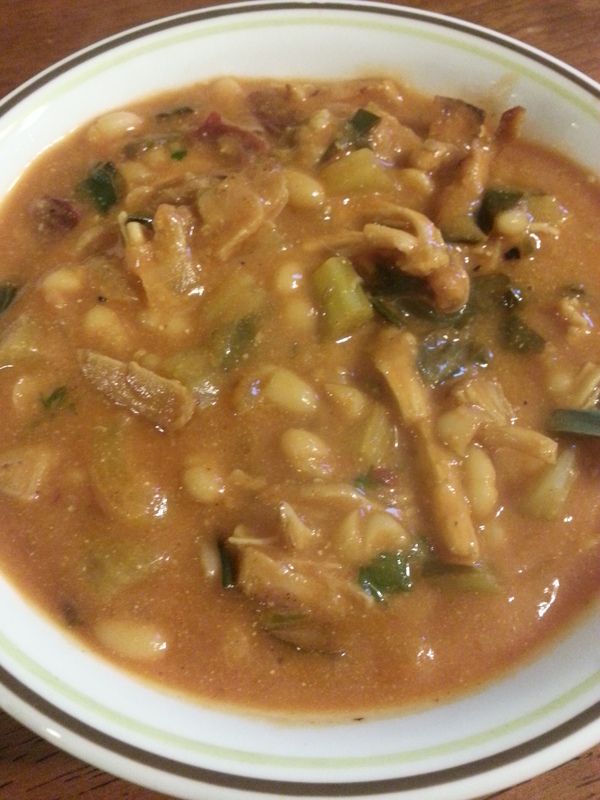 Now, jump on to the recipe and enjoy this delightful bowl of soup for your next meal! I am already dreaming about enjoying the leftover for lunch tomorrow! 1) Heat a large stock pan over medium heat and dry roast quinoa for 3 – 4 minutes. Remove the quinoa to a bowl and return pan to heat. 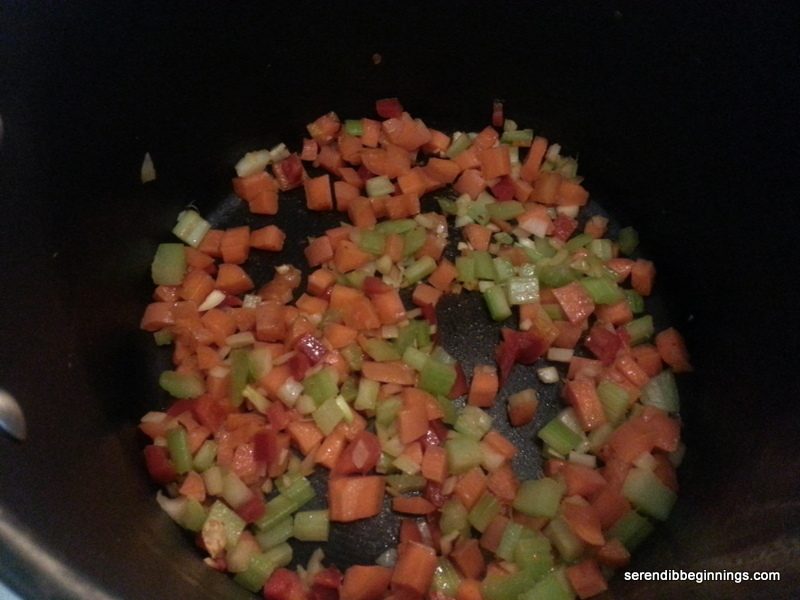 2) Add the oil and saute the onion, garlic, carrot, red pepper, jalapeno and potato for 3 minutes. 3) Add the flour and stir in, breaking up any lumps. Continue cooking for 3 to 4 minutes. 4) Add the corn kernels and the vegetable broth, cover and cook on medium low heat for 25-30 minutes till vegetables are tender and quinoa is cooked through. 5) Stir in the milk, light cream and thyme. 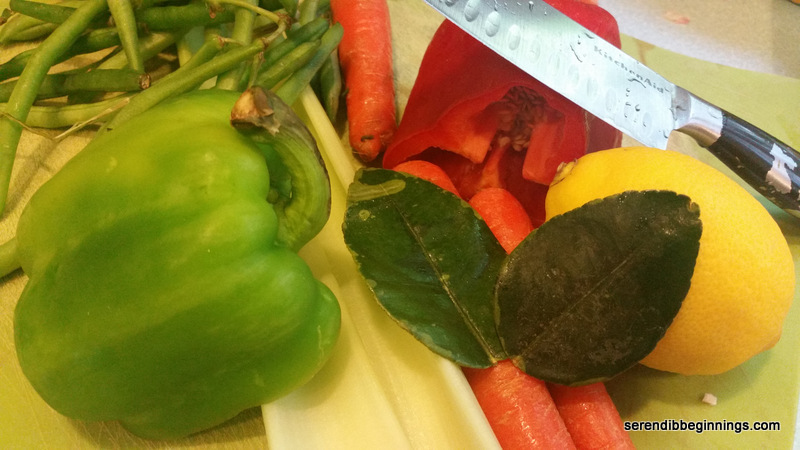 Adjust seasonings with a dash or salt and pepper, as needed. 6) Let simmer uncovered for another 5 minutes. Serving Suggestion: This soup can be topped with a bit of grated cheddar or a dollop of sour cream. For an extra indulgence, you can also sprinkle a few crushed tortilla chips. True it is July and there is just a glimmer of hope that it might actually start to feel like summer, but that shouldn’t stop you from wanting a comforting bowl of soup for a meal, right?! Well, let’s just assume that’s the case! I know a bowl of soup sounds far more inviting in the cold and dreary winter months, but hey, with this intensely flavored bowl, you might actually feel like you are vacationing somewhere in Thailand or Sri Lanka! The idea for this recipe originated from a lunch break conversation with a colleague who was longingly taking out a warm bowl of homemade soup from the microwave. It smelled great and she went on to add that she was so sad that her last bit of soup made in bulk was going to be consumed! 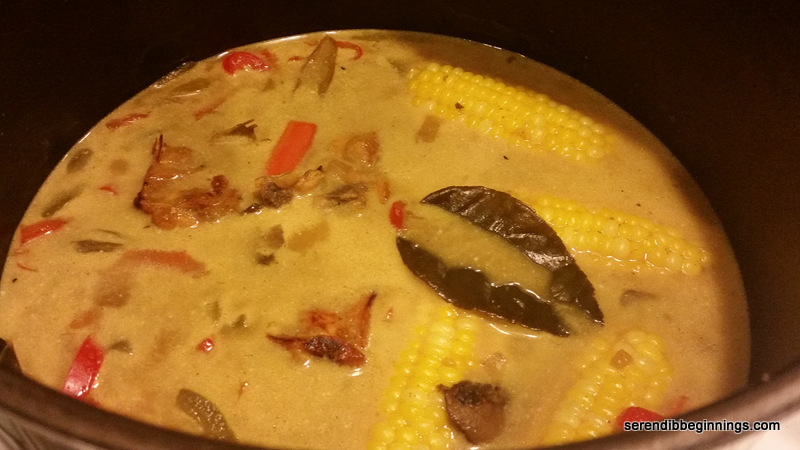 She quickly summarized the recipe for me while I made a mental note of just three things – curry powder, coconut milk and whatever you want to throw in to make it a meal! I also remembered with a smile a small Ziploc bag of kefir lime leaves that I had in the freezer from an online purchase eons ago! 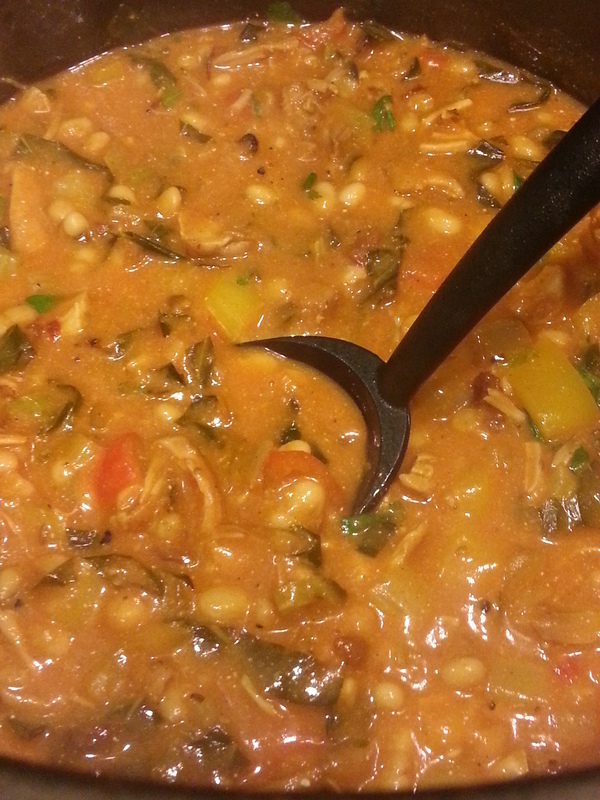 I knew adding that would mean I would get an addictive aroma of combination of curry, coconut and citrus! What not to love about this, huh! I didn’t have to wait around to make this recipe. 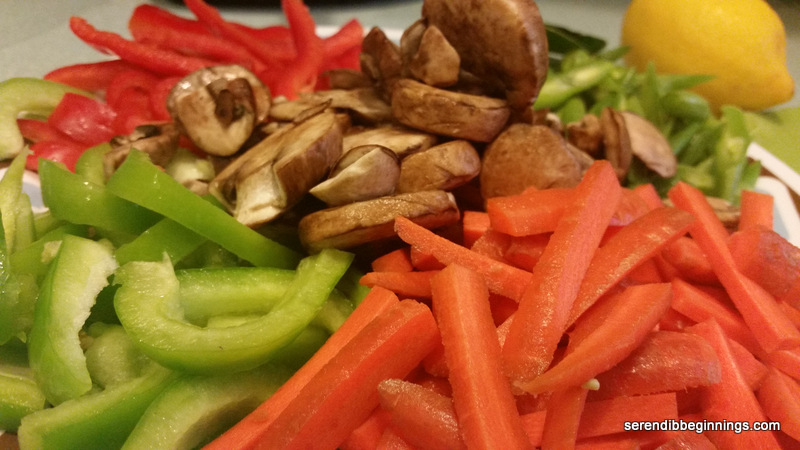 I had all the ingredients on hand – you think it is weird? 🙂 Especially those kefir lime leaves! Oh well! By the way, for those of you who wish to avoid meat, you can easily substitute the chicken with tofu and the chicken broth with vegetable broth. I think that in essence will make this recipe vegan! A really delicious one! So, armful of assorted vegetables, a small tray of chicken thighs and a little of this and that, voila, the recipe was concocted in a flash! Seriously, don’t let the list of ingredients discourage you from trying this out. It is really a snap to whip up and the end result is….honestly, I think you should just make it and tell me yourself! 1. Season chicken pieces with salt and pepper and set aside. 2. Heat a large, heavy bottom pan over high heat and drizzle a tablespoon of oil. Place the chicken thighs in a single layer and brown on all sides. Remove from pan and set aside. 3. Add the remaining oil to the same pan and add the vegetables, including onion and garlic and saute for a few minutes. 4. 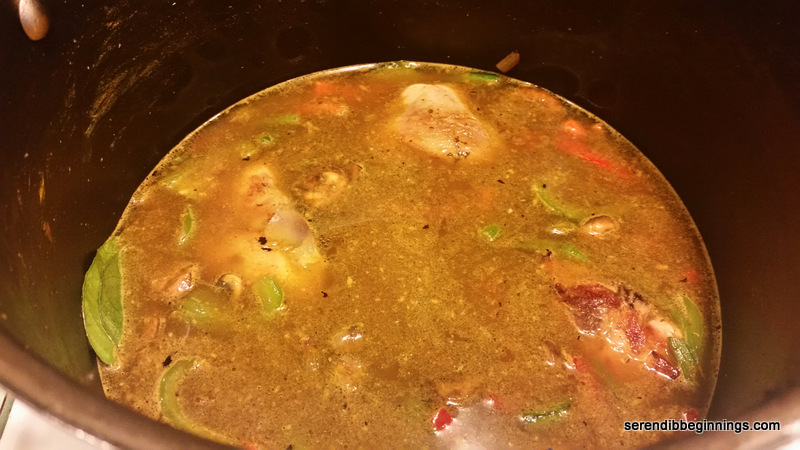 Stir in the curry powder and cook for another minute or two till the raw smell of the curry powder fades away. Add in the browned chicken pieces. 5. Slowly add the chicken broth, water and soy sauce. Adjust the amount of soy sauce to your taste. Add in the kefir lime leaves, lemon zest and lemon juice. Cover the pan with a lid, reduce heat to medium and let the soup simmer for 30 minutes till the chicken is cooked through and vegetables are tender. 6. 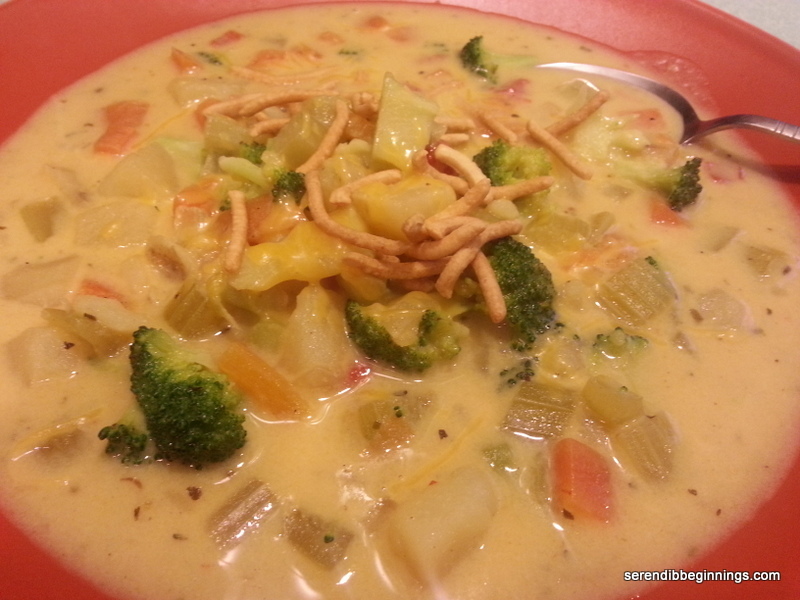 Reduce heat to low and slowly stir in the coconut milk, reserving a few tablespoons to top the soups before serving. 7. Serve hot with some noodles (if using) and a sprinkle of chopped cilantro. You can refrigerate any leftover for consuming later. Just know that when you reheat, the soup may look a bit “split” because of the coconut milk trying to separate from the soup. The taste will still be great! 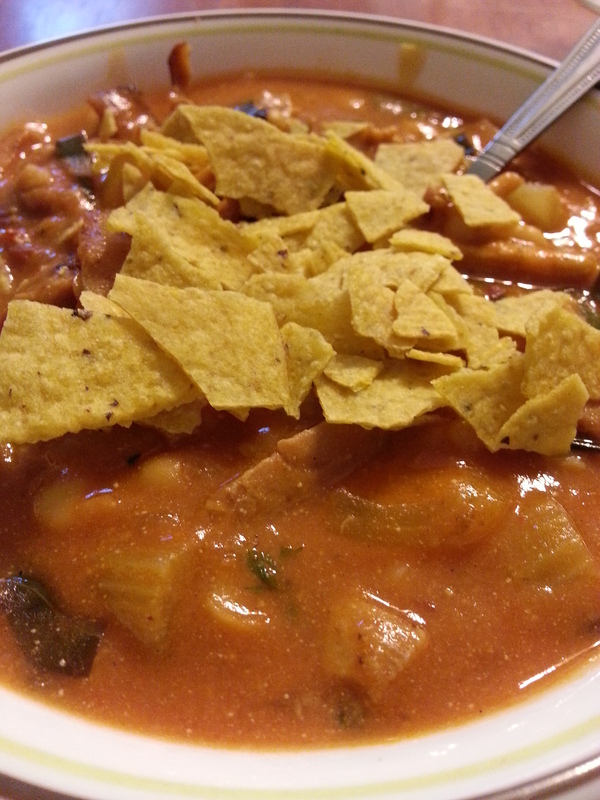 If you have read this blog before, you know I love chili! I make it with beef, ground turkey or chunks of chicken – each one with its unique taste of the moment! 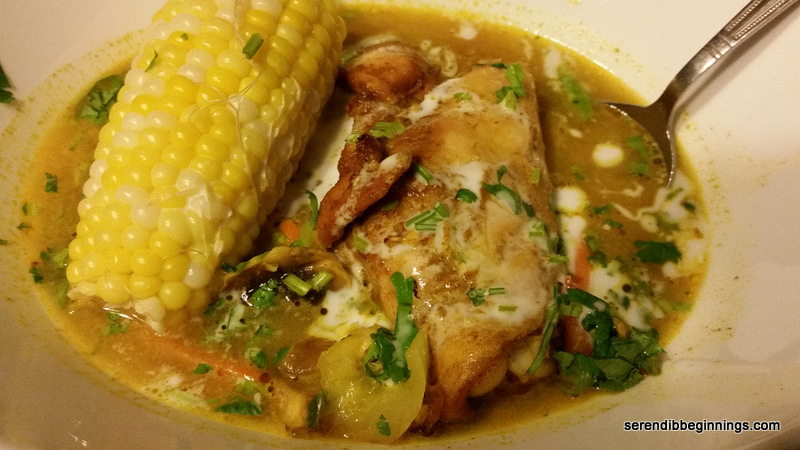 This particular chicken chili is made using leftover barbequed chicken rubbed with chipotle chili seasoning and garlic and I must say it was pretty darn good. Now that the warm weather is here to stay at least for the next few months, I thought this could be a recipe to use up your leftover chicken from your backyard barbeque. This recipe really doesn’t take long to put together at all and it takes very few ingredients, especially because the chicken was well seasoned. 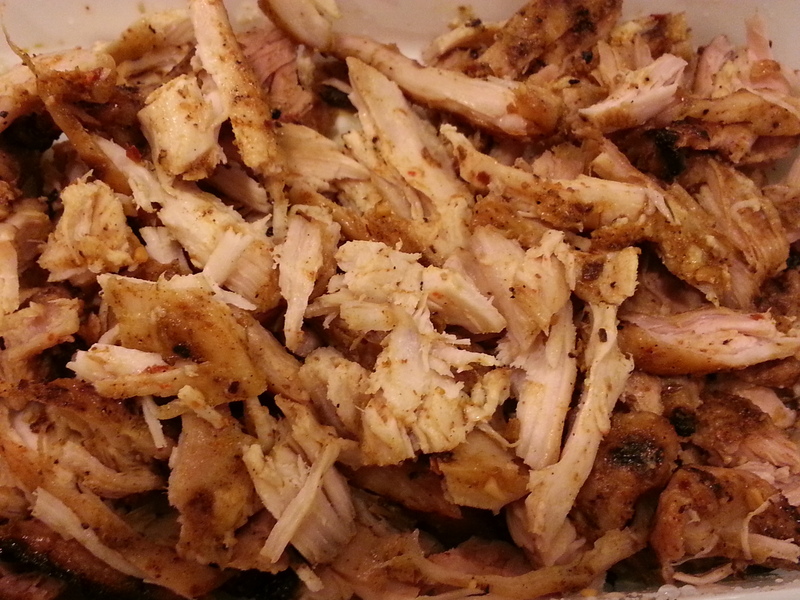 If you don’t have spiced leftover chicken, you can substitute any grilled chicken (as long it was not basted in bbq sauce) and add a bit of southwestern or chipotle seasoning. I added beans and some veggies to make this more wholesome. 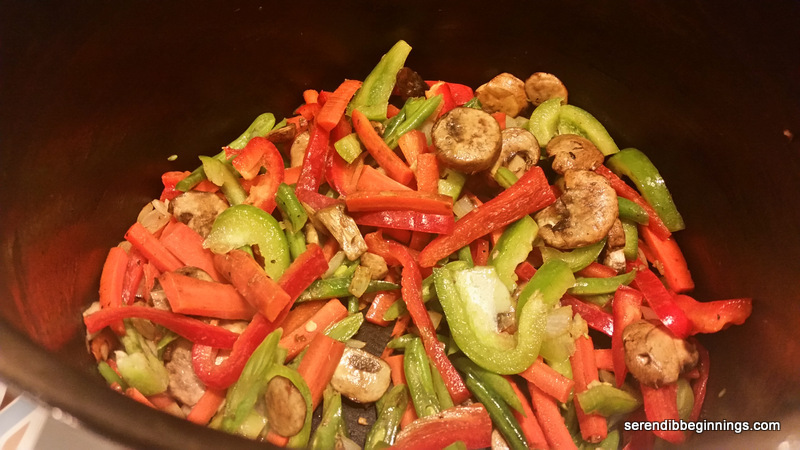 Feel free to toss in diced sweet bell peppers, carrots, celery etc. along with your favorite beans to make this filling and nutritious. Stirring in some sour cream towards the end of the cooking makes this dish creamy and a bit tangy which adds to the complexity of the taste. I hope you give this a try! 1. Heat olive oil in a medium pot. Add onion and garlic and cook for 2-3 minutes. 2. 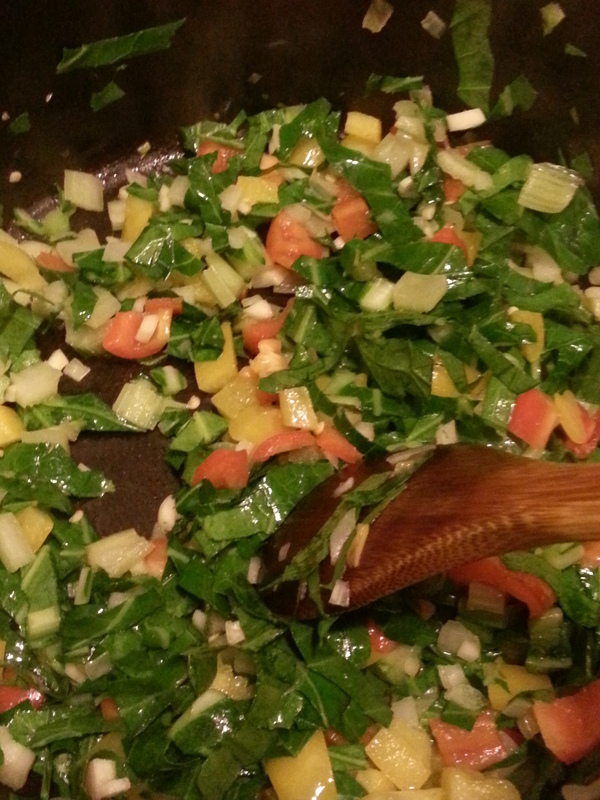 Add celery, kale, carrot and peppers and continue cooking for 5 minutes. 3. Add the chicken, additional seasoning if desired, beans and tomato sauce and simmer for 10-15 minutes over medium heat. 4. Adjust seasoning and remove from heat. 5. Serve immediately with your favorite toppings. I love creamy soups – broccoli-cheddar, baked potato and leek….But if you order them at any restaurant, you can be assured of ingesting few days’ worth of sodium and fat! So, I usually reserve these cravings for times when I can prepare these at home. I usually resort to a roux-based sauce made with 1% milk and a bit of light cream – if I am particularly brave! Mix in some 2% reduced fat or regular cheddar cheese and I promise you, you won’t miss the full-fat version! In fact, you might actually not even feel a tiny speck of guilt going for a second bowl! At least I didn’t! 🙂 Lastly, instead of typical chicken or vegetable broth, I used just water. With the addition of crushed dried herbs, taste was not sacrificed. Feel free to substitute this with broth if you so choose. Even though the title says potato-broccoli, I did amp up the veggie count by adding plenty of chopped carrots, celery and bit of red pepper. This soup was quite hearty without having to chow down on a bread roll – although go for it if you must! 1. In a small pan, melt butter and lightly toast all-purpose flour to prepare a roux base. 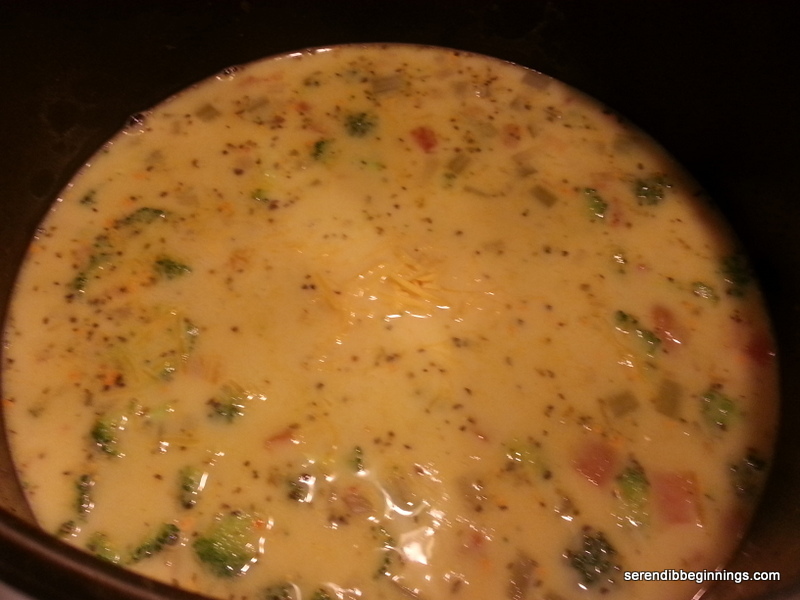 Remove pan from heat, let cool and stir in milk, light cream and powdered cheddar, if using. Set aside. 2. Heat a large pan over medium heat. 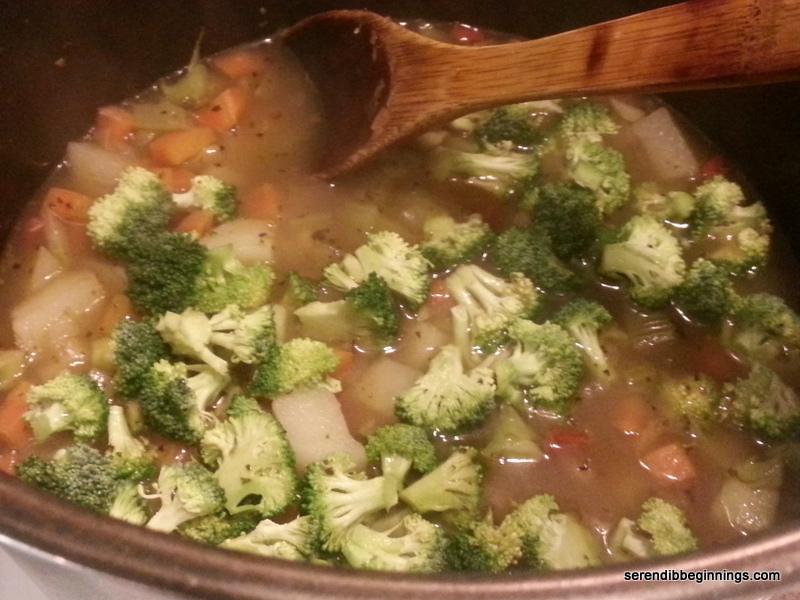 Add olive oil and sauté all the vegetables except broccoli, onion and garlic for 3-5 minutes. 3. Add crushed herbs, water, salt and pepper. 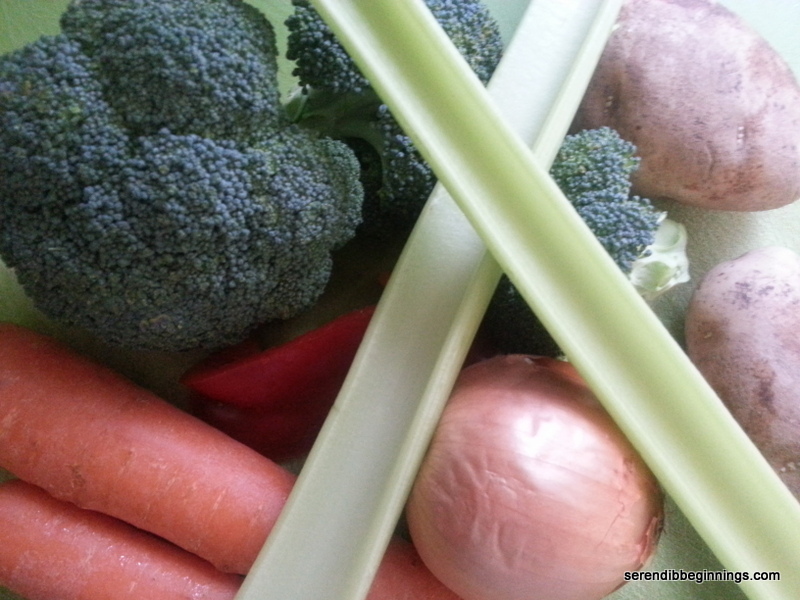 Cover, reduce heat to low and simmer for about 20-25 minutes till all the vegetables are cooked through. 4. Add broccoli and cook for another 5 minutes. 5. Add the roux mixture and bring back to a low boil and let cook for 3 minutes or so. Stir in grated cheese.